Up version 2079 of BASCOM AVR is also the mySmartUSB light supported! structured programming via IF-THEN-ELSE-END IF, DO-LOOP, WHILE-WEND, SELECT- CASE. Note: The interface of the software is in English. 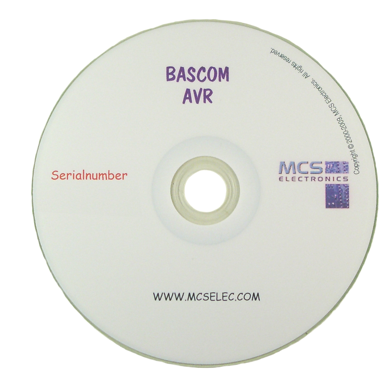 BASCOM-AVR will be delivered as CD. On the CD there is a serial number. 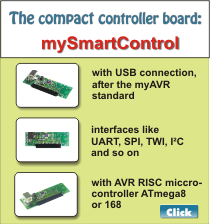 Within one year of purchase of the software you should have registered with MCS ELECTRONICS then enjoy free updates. 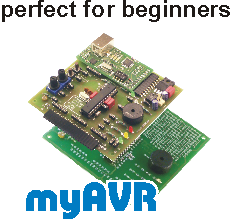 For support for this product please contact the manufacturer MCS ELECTRONICS in English. 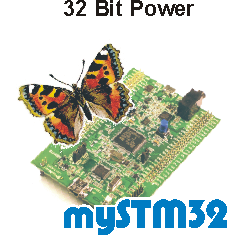 If you want an article with similar task and support in German, then please choose our SiSy Microcontroller++.